With My French Coach, Paris becomes your classroom. Your French tutor will help you discover the city and speak the language during each lesson. SPEAK and learn FRENCH, IMPROVE YOUR CONVERSATION. PARIS BECOMES YOUR FRENCH CLASSROOM! 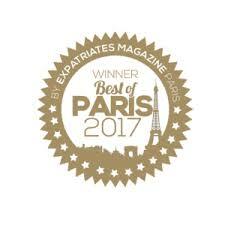 With a professional French tutor, focus on speaking skills in cafés or in the street throughout the city while learning the history and culture of Paris. Strengthen your conversation abilities, communicate with confidence! Use dialogue in real situations with Parisians. Quickly become independent in your new Parisian life! From new beginners to advanced speakers, classes are adapted according to your experience and your specific needs. My French Coach focuses on spoken French, giving our students the opportunity to learn outside the classroom in the cafés of Paris. We specialize in spoken French (starting from the beginner level), because we have found that there are a number of students who, after studying French for a long time, feel frustrated that they aren’t able to express themselves easily. Language is, above all, a vehicle of self-expression, exchange and sharing. It is difficult, but you have to be patient, vary your methods of learning, and enjoy the process. And know that taking a course with My French Coach is just one step in learning French. “With speaking you have to think fast on your feet - it’s much harder. When you’re writing a composed email or a letter, you have time to think about it”. A language can’t be truly understood or expressed between four walls, isolated from outside interactions. Conversations with the server, discussions with neighboring tables in a café and random interactions in the street are living resources that will get your ears used the sounds and patterns of spoken French. Hearing phrases over again will help you mimic them with the same vocabulary, body language and intonation. And walking around the quartiers of Paris after each session will offer up new types of interactions with merchants or passers-by. A language must live! After teaching French to countless students over the years, one thing is true: each student is different with their own way of learning. But they all have one thing in common: they have intentionally decided to take a French course. Motivation will drive your progress. Others block themselves (against their own wishes). They won’t allow themselves to make mistakes, afraid of feeling shame or judgement (even if it only comes from within). In addition, we’ll need to understand your goals, their underlying motivation and, of course, compare it your current level. To speak and share with your friends or your family? To participate in conversations with your colleagues? To communicate with merchants in the street? During the first meeting, or free consultation, we will evaluate each person in order to find the best way to personalize their sessions. If this preliminary work is done well, you will go through your lessons integrating new things you’ve learned without realizing it. You will surprise yourself with your ability to speak French - you’ll simply feel as if you’re having a nice chat with a friend in a Parisian cafe. There is no miracle solution: to make progress, you must exchange, speak and meet others. Work on your confidence in a relaxed setting with a tutor who is focusing on you. Learn from your interests (based on your needs & goals). Work on phonetics and pronunciation. Integrate grammatical points during each session (according to your level). The grammar taught comes along with the context and is integrated directly in the conversation. It is a tool that will help you develop your thoughts at the moment. Work on your confidence: these Skype conversations are an opportunity to do so. Multiply your conversation partners: It is absolutely necessary so that you don’t get used to the same phrases and structures of one person, your tutor. Each person expresses themselves differently and thanks to “French Live Conversation”, you can practice this. Apply what you’ve learned in your course. Here, there is no grammar. Understand the ritual of the language (how to say bonjour and au revoir in context, which formulas of politeness to use, etc.). Accept the idea that though there are formulas that you have learned, someone might introduce a new one to you. The ritual of exchange remains the same! Train yourself to understand that information that you asked, rapidly selecting the necessary elements out of their speech. Manage your stress at the moment of exchange. Work on the phonetics and musicality of the language, which a bit more important on short exchanges than on long ones. My French Coach's team of tutors are ready to help students learn and speak French during their time in Paris. qualified and passionate about teaching, with years of experience! In 2014, after 10 years of teaching French in Slovakia, Switzerland and Palestine, I launched "My French Coach,” a language program tailored to fit the needs of new arrivals in Paris. My favorite coffee shop : "La Recyclerie" for it's alternative spirit, space, history and great ambiance! My favorite district : Les Halles, Le Marais & the 20th arrondissement. Because every time I'm out for a walk there, I fall upon surprising new things! Where you can meet me? I particularly love to walk around Île de la Cité and Jardin des Tuileries during the weekend. And my favorite on Sundays is the Marché aux puces in Saint Ouen. My hobbies : The history of Paris, of course! My favorite phrase in French : "Je suis au taquet!" This means I have maximum energy! Languages : English, Spanish, and a bit of Arabic and Slovak. My favorite coffee shop : Terres de Cafe. There are a few different locations, but my favorite is on rue des Blancs Manteaux in the 4th. My favorite district : I love spending time in the 11th and 19th. And Parc des Buttes-Chaumont is one of my favorite places in Paris. Where you can meet me? Sundays, I go to Marché Bastille to get my fill of fruits and vegetables. It's fun to discover which products are in season and it often gives me inspiration for the week ahead. My hobbies : I love flowers so I'm always picking up fresh blooms to arrange chez moi. My favorite phrase in French : "Occupe-toi de tes oignons" or mind your own business. I saw a meme for this particular phrase and thinking of it always makes me laugh. Languages : I speak English, of course, and I'm still working on my French!